Did you know 45% of people watch over an hour of video on Facebook and YouTube every day? With stats like that it’s no wonder 87% of marketers swear by using videos in their content plan. 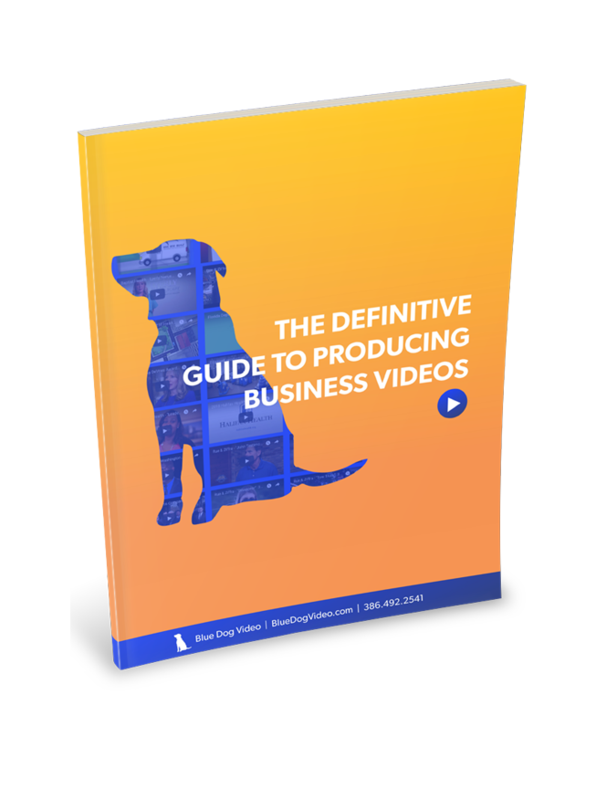 So if you’re looking to add videos to your marketing strategy, you should know it’s not as difficult or expensive as you may think -- especially since we covered the topic in this guide. 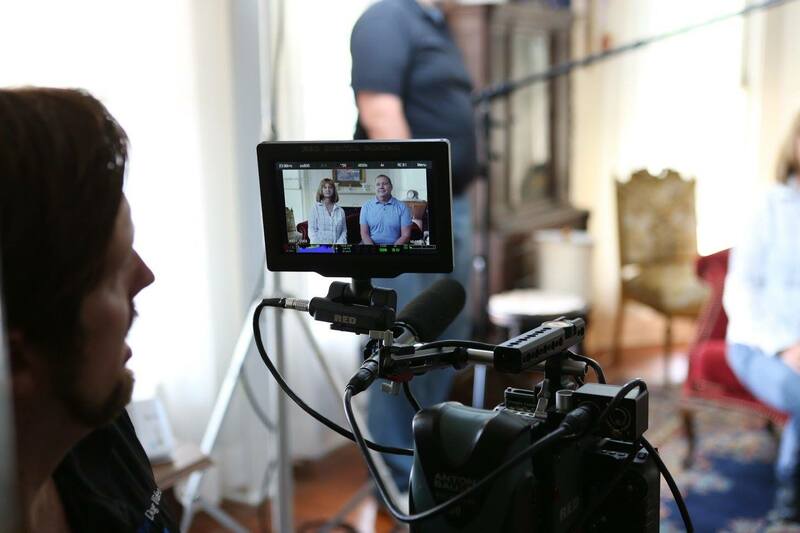 Where many brands struggle is this next step: finding the right video production company. Fortunately, we’ll show you how to narrow down your search for the perfect one in today’s guide. You’ll learn the best tips and tricks to save yourself both time and money. But before you start comparing video production companies, you have to know what you’re looking for first. When it comes to finding a video production company, many businesses jump right into comparing all the options available, but this isn’t exactly your best route. Do this and you could end up with a company that may look good on paper, but doesn’t truly fit your project’s needs. To avoid this situation, your first step is to figure out the specifics of your project. We talked about this important groundwork in the guide mentioned earlier so we won’t rehash too much here. Why are you making this video in the first place? What do you want people to do with this video? What are you promoting in this video? A product? An event? Or are you building awareness? What impression do you want your target audience to have after watching the video? While each of these questions is equally important, it’s crucial to narrow down exactly what you want to promote in the video above all else. 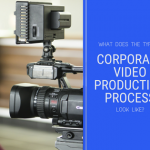 This will lead you to companies with experience filming that type of video specifically. With all your answers in a row, you’ll use them to then create a project brief based on your answers to the four bullet points above. Our law firm has helped protect car accident victims for over 40 years. We want to make a video we can use on our website and social channels to bring awareness to our high level of service. When people watch this video, they should relate to the actors in it and their explanation of their feelings towards a car accident: witnesses disappearing, evidence disappearing, and the challenges with her insurance company not compensating her and placing the blame. We are promoting our auto accident victim services. We want viewers to see that we understand the challenges that come with car accidents and that professional legal help is available to them from a trustworthy law firm. Your project brief will be handed out internally to anyone on your team working on the video. It will also be used as a quick reference for the video production companies you interview. Not only will this keep everyone on the same page, it’s also a great way to get right to the point when it comes time to weed through production companies, which can be a time consuming step if you’re not careful. To speed through this process with efficiency, we’ll show you a few keywords to look for next. Before you run a Google search for a local video production company, use your project brief as your guide for selecting the right keywords to use first. This simple step can help you single out the right companies from the get-go. So instead of searching for a general video production company, enter the keyword string video production company specializing in legal videos, for example, to help narrow down your search. While you could technically work with anyone from around the world, consider the fact that you’ll need to meet in-person multiple times, which could get costly, especially if you have to bring other team members along with you. With this targeted search done, you’re ready to evaluate the results. When you click through the top results and learn more about each company, you’ll want to scan each website for a few green lights and red flags. First, you’ll want to evaluate whether the website gives off a professional and high-quality aesthetic or if it looks like someone just hastily threw it together. If not, it could be an indicator of their quality of work. You should also use this same mindset when evaluating a company’s video portfolio. What are their transitions like? Are they smooth or rather awkward? How are their audio and visual qualities? Does the video have a clear flow? As you sift through their examples, be sure to find ones that are similar to the type of project your team hopes to create. If your goal is to produce an legal video, to use our previous example, don’t waste time sifting through catchy product videos when you won’t be needing one. Your task at this point is making sure potential video production companies can handle the type of video you need. It also doesn’t hurt to review each company’s testimonials and the results they achieved for their clients. When you check out what their former customers think, make sure you note the difference between simple and vague comments. A review such as XYZ Company was great! is much different than a robust review from a customer who actually took the time to commend and thank staff members for their hard work. And companies with in-depth video customer reviews are worth paying extra attention to. If a company doesn’t have any reviews, or they’re all vague and not helpful, consider this a red flag and move on. Once you’ve repeated this process for the local video production companies on your list, you can then move on to this next step. You should have between two and five potential video companies to choose from and interview -- at most. 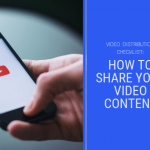 Before contacting each one, you’ll want to have your project brief handy so you can highlight the most important aspects of your video needs with representatives from each company. You should also be prepared with a list of questions to ask during the interview process, such as their pricing structure and schedule. Don’t be scared to dive into questions about their process and who they’ll bring to the project team member-wise (i.e., a video editor, producer, etc.) so you know what you’re really getting for the money. Jot these answers and notes down so you can compare each video production company on paper once you’ve called and interviewed all the ones on your list. From there, you’ll just need to weigh your options. While that may be easier said than done, this next section will help you decide in less time. You may be tempted to make your decision solely based on price, but we’d strongly caution against doing so. With video production companies, the old saying rings true: You get what you pay for. Oftentimes a low bid only signals a miscalculation on the end of the video production company. This means you’ll probably spend more money and time down the road as opposed to budgeting correctly in the beginning. So if an offer seems too low to be true, save yourself the headaches and run in the opposite direction. Instead of simply choosing based on the quoted price, consider the cost as just one part of your decision. Don’t accept any bids over-the-phone until you’ve met with each company you’re seriously considering to get a better feeling in-person. What started as a list of five should ideally be narrowed down to one or two companies at this point. Now it’s time to meet with your top contenders before making your decision. You may find some companies deliver a better online presentation than reality itself. Instead of getting sold by a fancy website and a experienced salesperson over the phone, spend time interacting with these companies, brainstorming ideas, and meeting their team members. This will give you the most complete and realistic picture of who you’re signing up with. You may think these extra steps will only add time to your project, but just the opposite is true. When you gain an accurate view of who you’ll be working with, you won’t have to re-do anything later on. You can trust the process instead of worry. And you’ll also be able to build a relationship with a professional vendor instead of having to start the process all over again if it goes horribly wrong with the wrong company. With these five steps to finding a video production company all laid out, there’s no reason to partner with the first result in your Google search. When you follow the steps in this guide, you’ll be able to find the best video production company for your current project and all the future videos your marketing strategy will benefit from down the road. Want to interview us for practice? Contact us for a quote now! Ready to Find a Professional Video Production Company Worth Using?